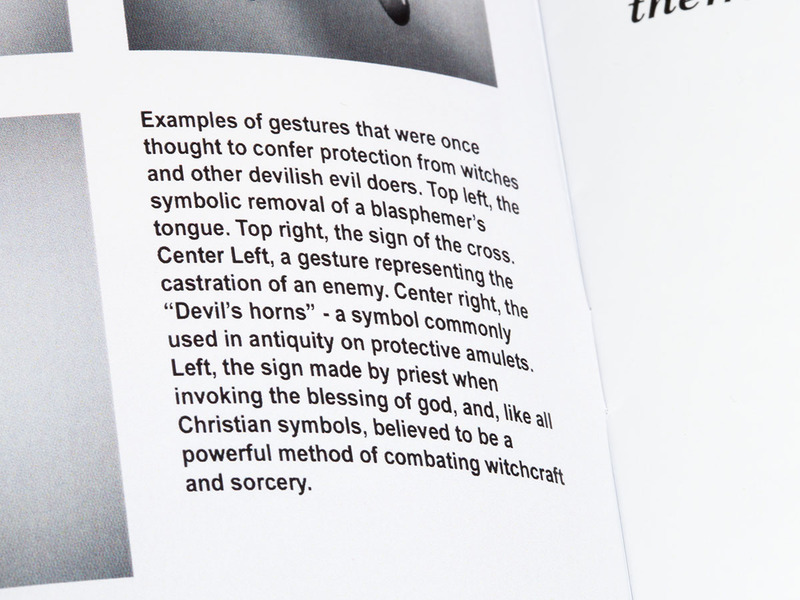 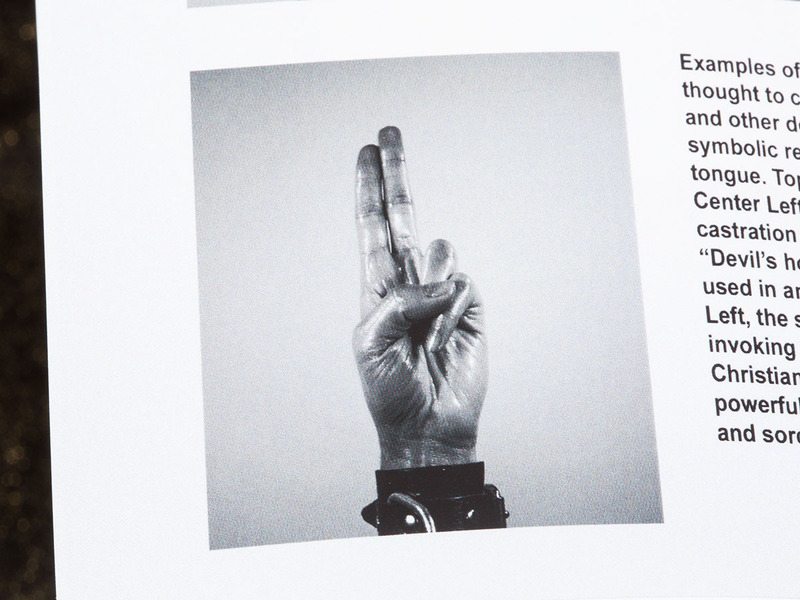 Futile Gestures, is a reimagining of found design, appropriated from a vintage book about witchcraft. 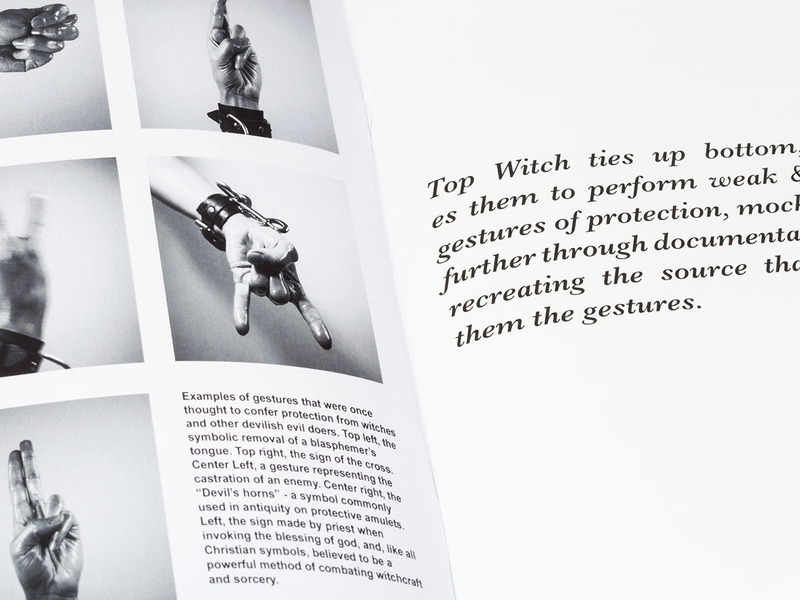 The text and design are direct from the source, the images are reclaimed, transforming the page into a document of empowered BSDM practice. 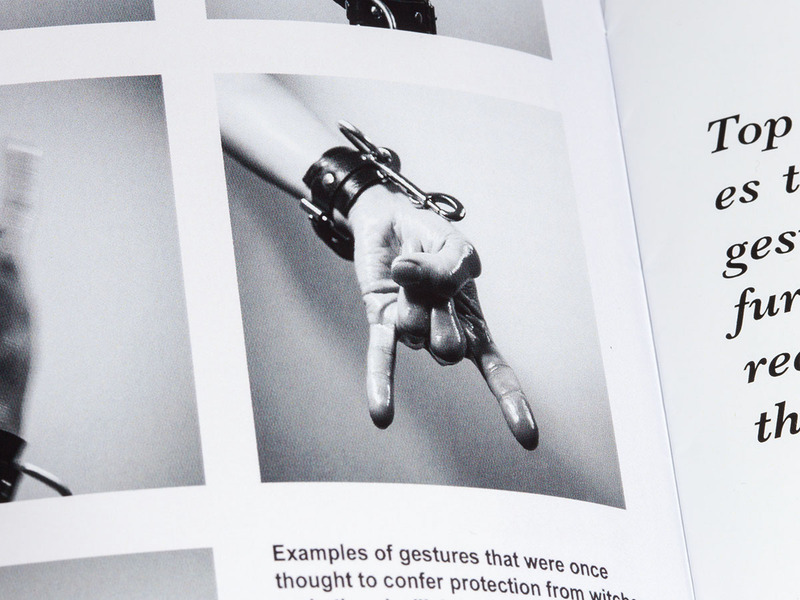 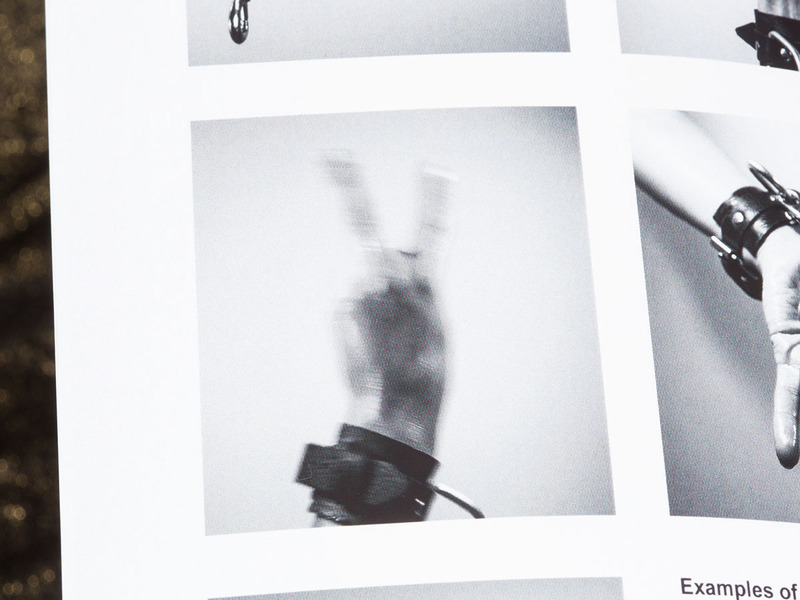 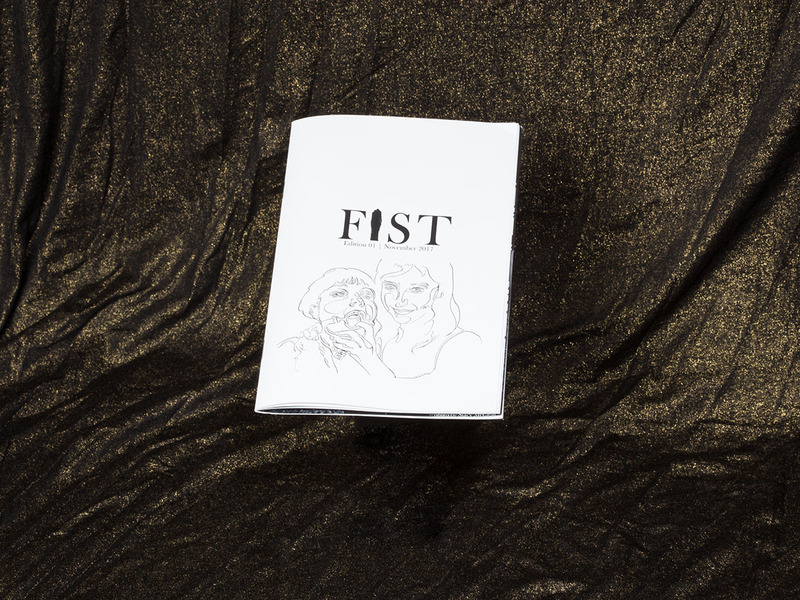 Futile Gestures was included in the first issue of FIST zine, published in November 2017 through discipline press and edited by Cristine Drach.